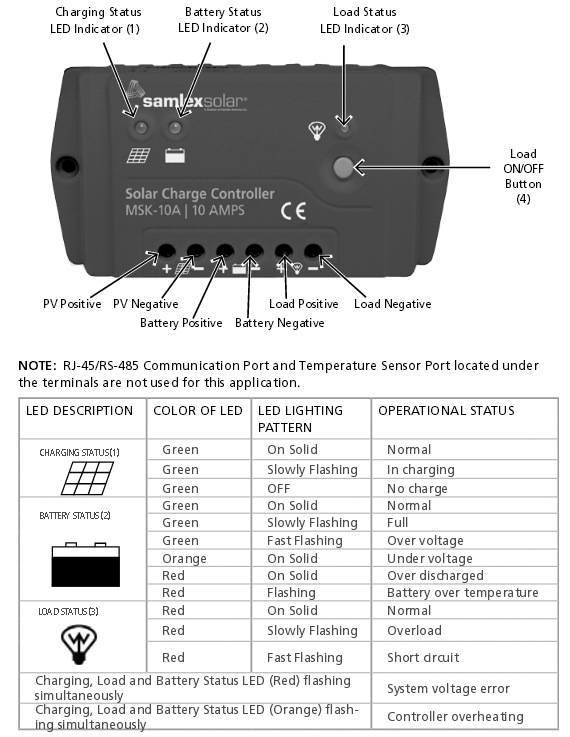 The Samlex MSK-90 v2 Solar Charging Kit is portable easy to use! Just unfold, plug in and start charging. 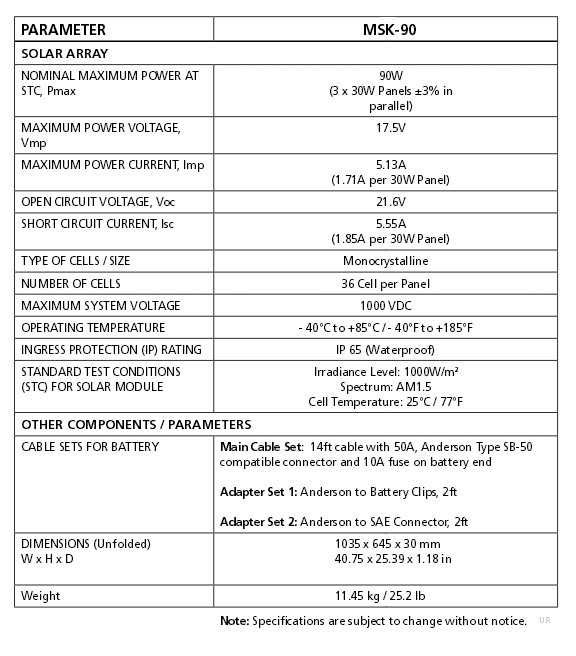 Capture the power of the sun without complicated installations, brackets or electrical diagrams. The 10 Amp controller is built into the back panel. Adjustable legs allow for easy directing. 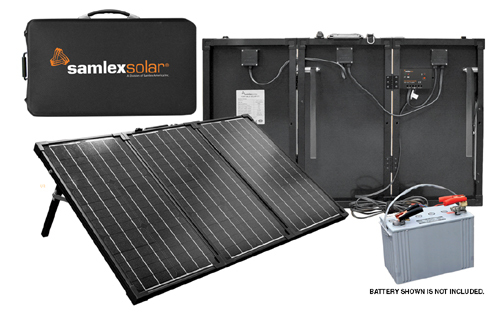 Each kit comes with a convenient insulated carrying case that also protects the panels when stored. This is an extremely well constructed, quality item. Size open: 40.75 x 25.39 x 1.18 inches 25.2 lbs. The battery shown is not included. This system will charge a variety of batteries. You may wish to source a local supplier for the larger batteries.